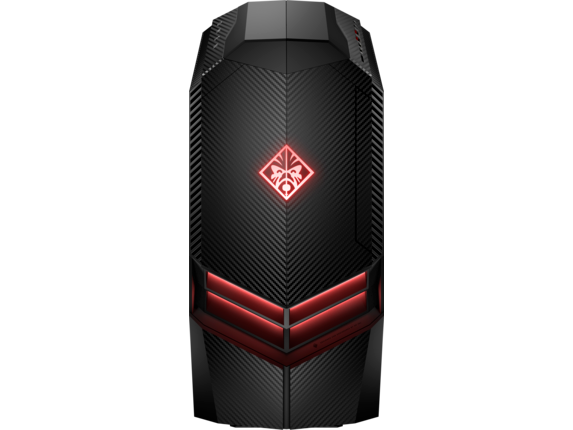 Designed to set a new bar for graphics performance and all-around stability in a gaming machine, the OMEN Desktop Tower line is the perfect platform for any gamer. Whether you want a topshelf gaming experience or want to avoiding the hassle of building your own desktop setup, you can find a gaming tower with everything you need stay ahead of the competition. 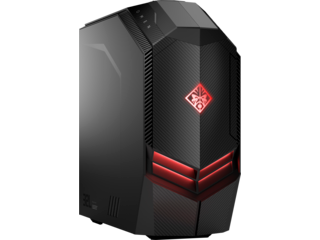 Underneath the futuristic, angular exterior, this machine boasts up to 32GB of upgradeable DDR4 memory and a range of other options to boot. For your processor, choose between Intel® Core™ and AMD Ryzen™ options. And no matter which you prefer, they’re primed for overclocking. When it comes to storage, you’ll find two standard HDD bays that can support up to 3TB each. 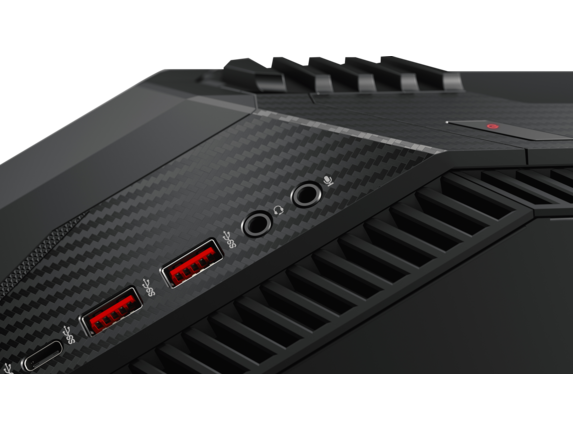 There are also two additional top-loaded bays to keep the OMEN’s interior uncluttered and optional PCIe SSD for seamless access, and high-speed installations and loading. To keep your OMEN consistently working in top form, we know that cooling is the key. That’s why you get two powerful 120mm fans that constantly pull cool air in through a thoroughly vented exterior. And thanks to a roomy 32L interior and options for liquid cooling, it’s always easy to keep the temperature under control. When it comes to powering your graphics, you can choose between an energy efficient NVIDIA® GeForce® GTX™ 1080 Ti or the Polaris-based Radeon RX 580 t, depending on your gaming preferences. Both offer support for premium virtual reality experiences, so we’re confident you’ll be well equipped for the future. Do you want a detailed, multi-display setup for Ultra HD gaming? No problem, because the OMEN Desktop Tower is packed with ports so you can easily connect additional displays. You’ll also find two USB 3.0 Type C, two USB 3.0 Type A, a DTS Headphone:X® jack, a microphone jack, and a 3-in-1 media card reader. Or maybe you’d like more control over how your gaming computer tower works? From the OMEN Command Center, you can configure and finetune your settings and power configuration until everything feels just right. There are even straightforward safeguards to help you protect critical components from burnout. If you’re looking for a slightly more compact or affordable alternative, check out our OMEN Gaming Desktop line. It comes with the promise of NVIDIA® GTX™ graphics along with a range of accessible and upgradable options. For portability, the OMEN Gaming Laptop is definitely for you, especially if you’re looking for unparalleled performance and depth on-the-go. Inspired by the booming world of esports action, the OMEN Desktop is designed for tool-less access so that it’s a breeze to upgrade. It’s also packed with a variety of functional and aesthetic features to help you take control of your rig and edge out your rivals. And thanks to the integrated carrying handle, you won’t struggle to move it around the house, from one tournament to the next, or wherever the game takes you. 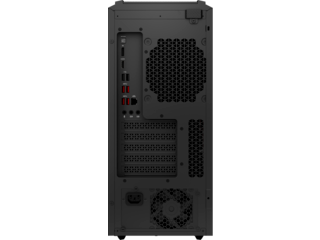 From there, we keep things simple with a transparent side access panel, which provides convenience when you need to know something about your build. You can perform a quick hardware check without having to access your desktop interior and orchestrate an easy expansion if you ever need extra memory or storage. Curious about optimizing your connection? We’ve built that right in with Network Booster, which automatically prioritizes network traffic related to gaming, while a Dual Force feature routes data through the fastest connection available. We know you want the most from your audio, too, so be sure to shop our OMEN headsets and use the OMEN’s DTS Headphone:X® jack for unparalleled precision sound. Immerse yourself in the competition, or just your imagination, every time you play. If you really have your eye on virtual reality gaming, then you can also choose between several bundled options with your choice of gaming accessories or even an impressive 27” curved display. 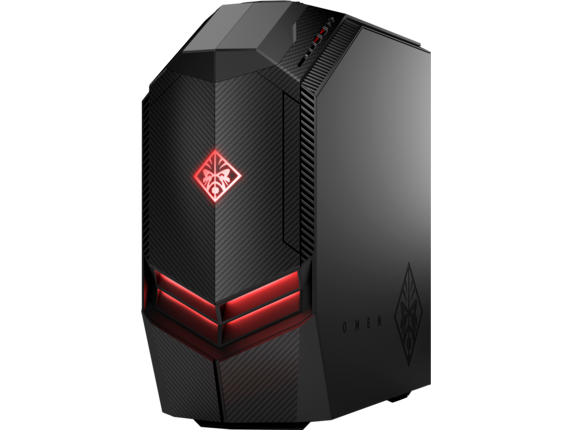 When you’re finally ready to upgrade and take on the most serious competition out there, treat yourself to a gaming tower designed to keep up and boost your impact when and where it counts.